When you're working with e-textiles, you have a tendency to collect a lot of small parts: LilyPad boards, bobbins, needles...the tools of the trade. Why not pick up a sturdy box to keep your bits and pieces off the floor? 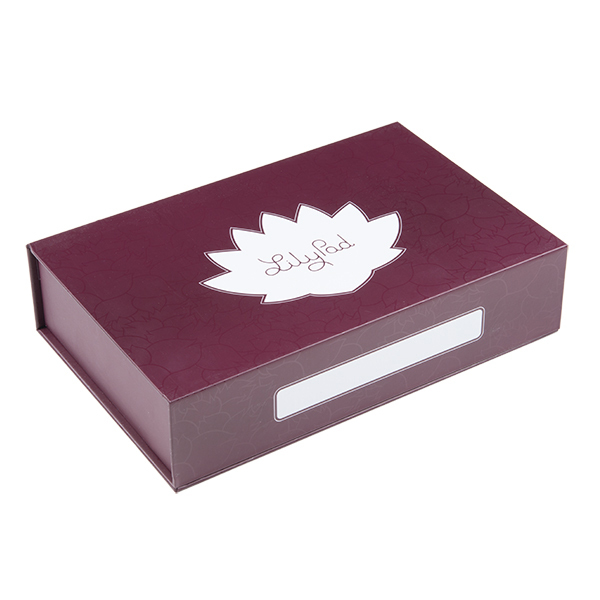 This large LilyPad-branded box is made from rigid cardboard printed with a fancy tone-on-tone pattern, label space and the LilyPad logo. There are even magnetic closures embedded in the lid. 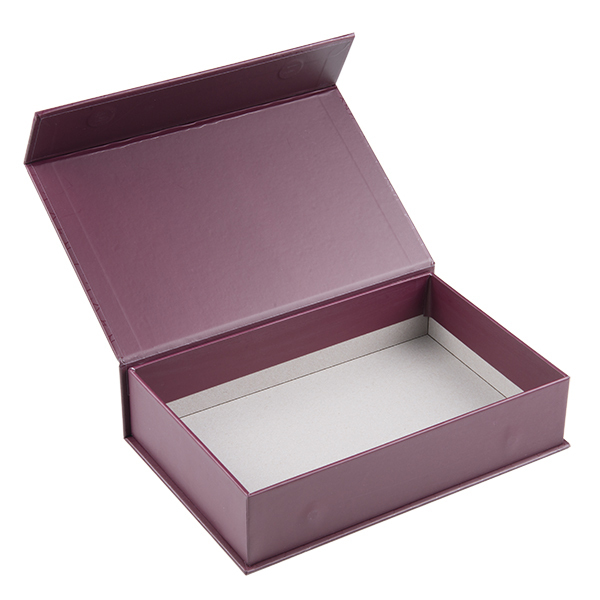 We like this box because it's rigid enough to throw in a sewing bag and also looks good on a workbench or makerspace. With an inside dimension of 2 inches deep, it's big enough for batteries, fabric swatches and whatever small parts you have floating around. It also makes a great gift box if you're thinking about getting someone the gift of LilyPad! Dimensions: 10.0" x 6.3" x 2.3"
I've always liked the LilyPad boxes for convenient project part storage, but have often found them a bit undersized for some projects .. this larger box addresses that nicely, and at a reasonable cost. Wasn't expecting anything amazing from this, but there is a stripe of what almost looks like a glue residue or something going the length of the top of the box. It's not sticky just shiny and rough. 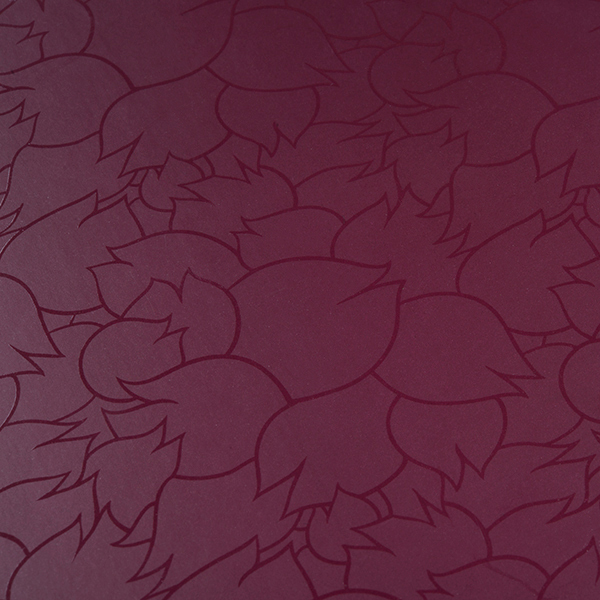 It goes straight through the bottom left and right points on the flower. I was hoping it would be something cute to hold all the little electronic bits for my lilypad projects and was disappointed that it had that ugly flaw. I apologize for the defect in your box. We're going to help you out with this!